All images are subject to copyright (unless otherwise stated) and may not be used or reproduced without permission. 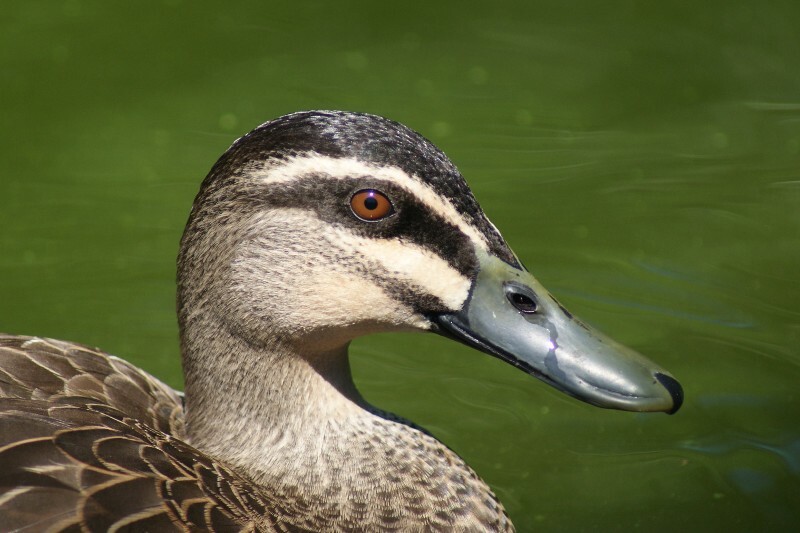 The Pacific Black Duck is common throughout much of Australia and also occurs across many of the South Pacific islands, Papua New Guinea and New Zealand. 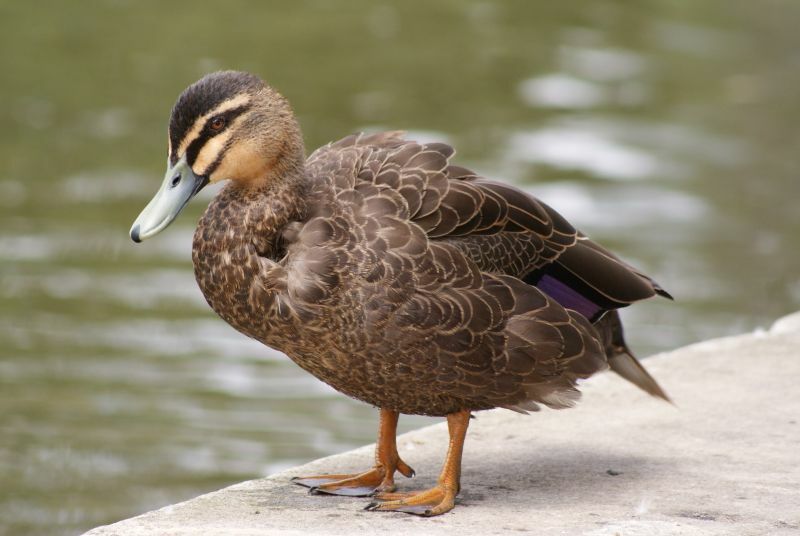 They are related to Mallards and can freely interbreed with them, which has almost wiped out the pure form of this duck in New Zealand. 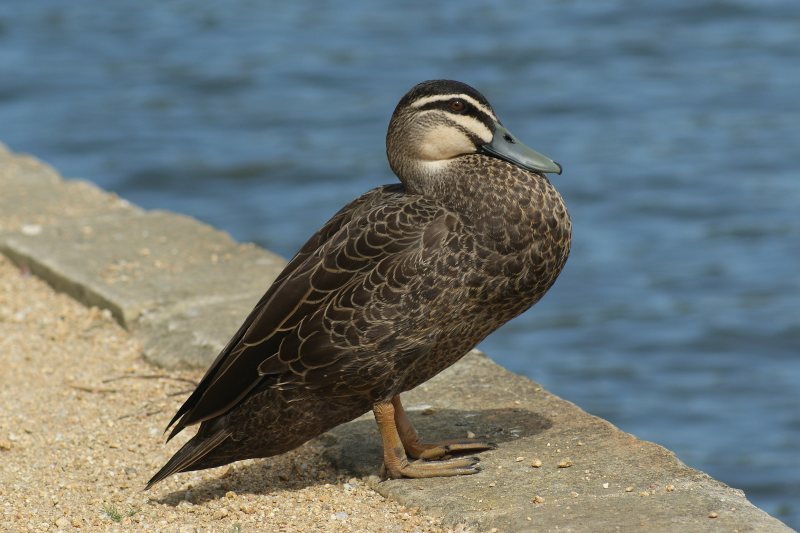 They are fairly large (56-61 cm) and have a distinctive striped facial pattern (the scientific name means 'eyebrowed duck'). 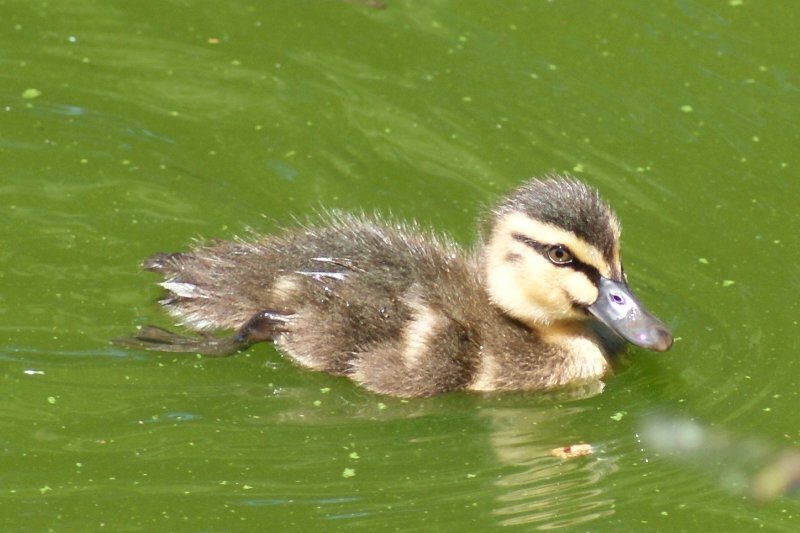 They can be found even in densely populated areas as long as there is enough water for them. 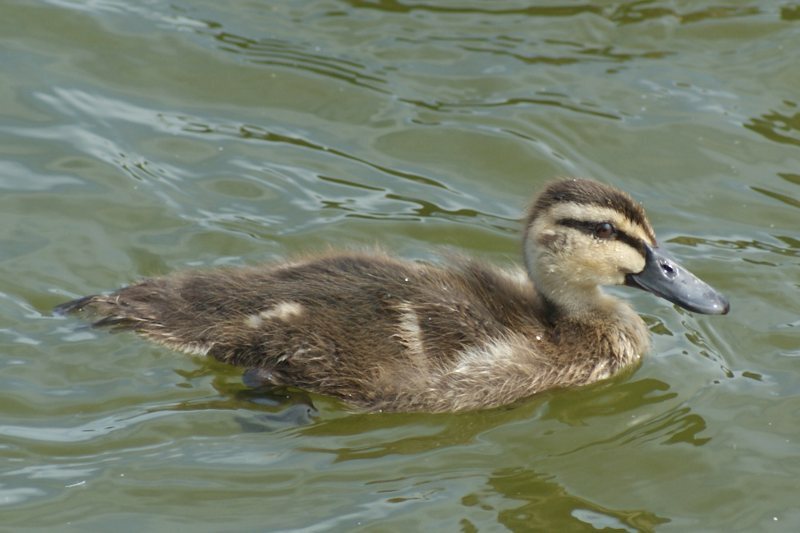 The third photo is a bird that may have had a Mallard ancestor and has a darker plumage and brighter legs. Males and females of this species look the same. 1 and 5: Royal Botanic Gardens Sydney, 30/12/2010. 2 and 4: Centennial Park, Sydney, 14/01/2011. 3: Lake Northam, Victoria Park, Sydney, 31/08/2009.